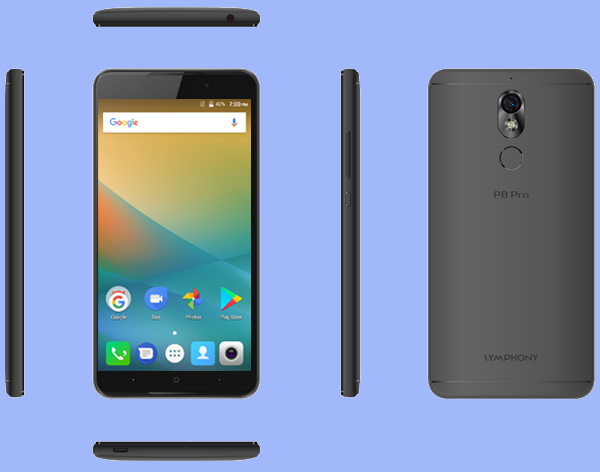 Symphony has brought Symphony P8 Pro latest android smartphone in Bangladesh with software version Android N OS 7.0 in July 2017. The Symphony P8 Pro has big display 5.5" IPS LCD 720x1280 pixels (~267 ppi pixel density) with 2800mAh Li-ion Battery Capacity. It has 13MP AF primary camera & 8MP AF secondary camera. It also has 2GB RAM & 16GB ROM. More details is below..
Android Nougat OS 7.0: Android Nougat is Updated Android Version now you can switch between apps with a double tap, and run two apps side by side. So go ahead and watch a movie while texting, or read a recipe with your timer open.Vulkan™ API is a game changer with high-performance 3D graphics. On supported devices, see apps leap to life with sharper graphics and eye-candy effects.Android Nougat makes it easier to take action in the moment, with more personalized settings and smarter notifications. At Last we want to say that Symphony P8 Pro latest updated Smartphone in Bangladesh. It can Make Our life More Amazing.